This helpful information is brought to you by the Rigley Realty Group. Keep them in mind for all your real estate needs. Call the Rigley Realty Group at 916-396-7487 / 916-397-4787. 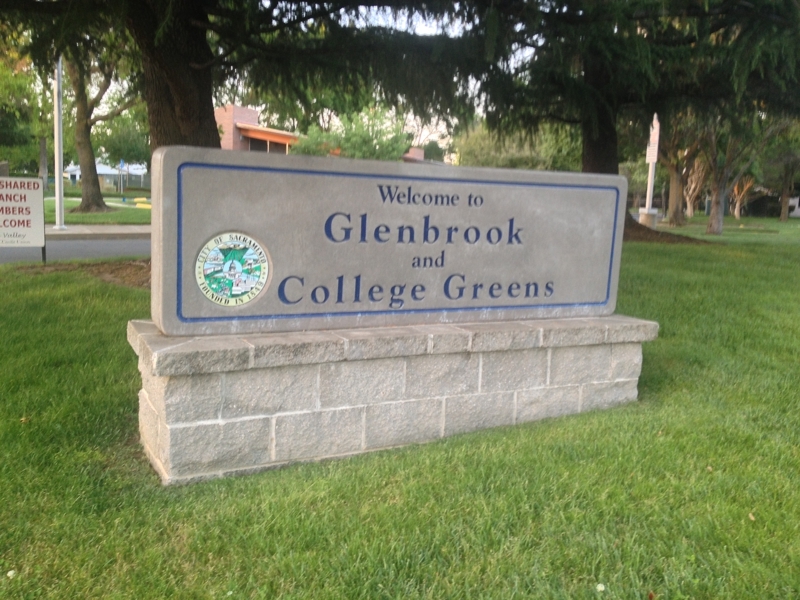 Looking for a College Greens – Rosemont Real Estate Specialist? Call the Rigley Realty Group today at 916-396-7487today or log on to www.RigleyRealtyGroup.com to start your on-line home search now. Call us today – you’ll be glad you did. As the summer quickly comes to a close we can see the Real Estate market trend shift we spoke of last month coming to fruition. Is it a season shift or a sign of things to come? It takes three data points to establish a trend and I’m not so sure we have seen those yet. Stay Tuned for more insight on this market and what it means to you. In Sacramento County the number of homes sold typically peak in June and seasonally decline through January. This year home sales peaked in May, a month early and if the annual trends repeat themselves we can expect declining sales though the end of the year. While there are more homes for sale, inventory remains at less than 2 months – mathematically a sellers’ market ONLY if buyers are still buying. Even with the supposed “sellers’ market” we are seeing buyers able to negotiate prices and repairs that would have been unheard of even 3 months ago. Prices are holding steady in a neutral pattern but the days of crazy bidding wars are on hold through the end of the year. There are 7.4% more homes for sale today than a month ago and 21.6% more homes for sale than a year ago. If selling – price your home right and be ready to make adjustments as needed. If buying, you have more leverage from now through the end of the year. Use it wisely and know that not all sellers are going to be willing to negotiate. Our experience is buyers shift to a changing market far faster than sellers do. 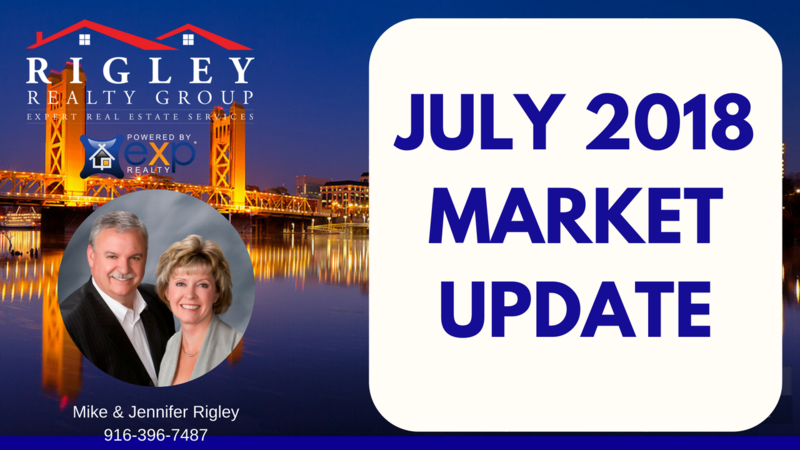 Sacramento and Placer County Real Estate is Booming! A quick review of Sacramento and Placer county real estate bears out what everyone already knows – March was a strong Sellers market. Courtesy of Metrolist (R) and Trend vision (R) , we have recapped not only Sacramento and Placer County Real Estate trends for March 2018 but key communities such as Roseville, Rocklin, Carmichael, Elk Grove, Arden Arcade, College Greens / Rosemont, the City of Sacramento and Natomas. Whether you’re looking for a breakfast restaurant that serves all your favorites or a lunch experience with traditional French meals, Sacramento has something for everyone. We’ve taken the guesswork out of choosing by checking out Yelp and choosing the top-rated restaurants in the area, as noted by people who leave reviews. Check out one this week. The Waffle Experience is located at 4391 Gateway Park Blvd., Suite 650 Sacramento, CA. This address is in the 95834-zip code area. For more information, call 916-285-0562. They are open every day from 8 AM to 3 PM. With 1,643 reviews, they have a 4.5-star rating. 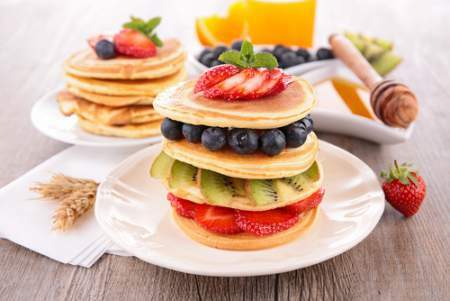 They offer a variety of breakfast and brunch menus that are waffle sandwiches with fresh ingredients, hot and straight off the grill, their waffles are served with fresh whipped cream, and most orders come with your choice of potatoes, French fries, fresh fruit or daily salad. They have options for children and a drink menu that includes mimosas. District is located in Old Sacramento (next to Ten22) on 1022 2nd Street. This address is in the 95814-zip code area. For more information, call 916-291-7973. They are open daily from 7:30 AM to 11 PM and have a 4.5-star rating. 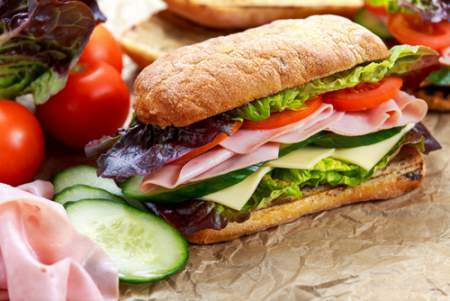 They offer a variety of pastries, muffins, sandwiches, and salads. Choose from options like Ranch Egg Omelets, French toast, Breakfast Croissant, Warm Granola, and a Daily Breakfast Wrap. Their price range is below $10. Café Rolle is located in East Sacramento at 5357 H St. This address is in the 95819-zip code area. For more information, call 916-455-9140. They are open on all days except Mondays and Sundays. They have 1,052 reviews and a 4.5-star rating. 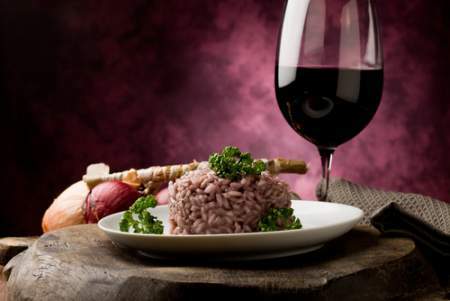 They pride themselves on delicious traditional French meals that range from seafood to salads and desserts. Choose options like chilled salmon served with fresh dill crème Fraiche or succulent tender prawns marinated in olive oil, garlic, and herbs. Of course, we have to mention the homemade Duck Foie Gras served with Dijon mustard, cornichons, French baguette, and warm Quiche salad. Sampino’s Towne Foods is located at 1607 First Street in mid-town Sacramento. This address is in the 95814-zip code area. For more information, call 916-441-2372. They are open daily from 10 AM to 5 PM. On Friday they open until 9 PM. They are closed on Sunday. This restaurant has 525 reviews and a 4.5-star rating. They offer a full selection of fresh pasta, ravioli, pasta sauces, meats, seafood, Italian imported goods, and wine. Among the locals, this restaurant is famous for their mouthwatering sandwiches that are stuffed with fresh ingredients like their famous Sampino’s Homemade Meatballs served with marinara Sauce, provolone and cheddar cheese, shaved grana Padano, garlic aioli, tomato, and diced pepperoncini on a ciabatta roll. Ramen House Ryujin is located in mid-town Sacramento at 1831 Second Street. This address is in the 95811-zip code area. For more information, call 916-341-0488. They are open Monday – Sunday from 11:30 AM to 2:30 PM, Monday – Thursday and Sunday from 5 PM to 10 PM, and Friday – Saturday from 5 PM to 12 AM. This restaurant has 1,932 reviews and a 4.5-star rating. If you are looking for delicious ramen and fantastic Japanese food, this is the place to be. They offer a variety of ramens like the Shiro Tonkotsu ramen, a pork based noodle soup. Other options include BBQ pork, steamed cabbage, black mushroom, red ginger, green onion, Aji- Tama (seasoned egg) with sesame seeds on top. They have fresh salads and great soups, too. The Rind is located at 1801 Street in midtown Sacramento. This address is in the 95811-zip code area. For more information, call 916-441-7463. They are open on Fridays and Saturdays from 11 AM to 12 AM and all the other days from 11 AM to 10 PM. This restaurant is new to the area. It has 667 reviews and a 4.5-star rating. They are best known for their cheese-based foods like the grilled cheese, cheese boards, and mac & cheese. Other foods include seasonal salads and more seasonal artisan foods. The restaurant’s menu is also inclusive of a vegan menu. It’s locally famous for its Happy Hour known as Legen-Dairy Hour where you can meet up with friends and share drinks together. 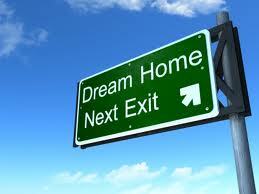 Your real estate agent is the best source of information about the local community and real estate topics. Give the Rigley Realty Group a call today at 916-396-7487 / 916-397-4787 to learn more about local areas, discuss selling a house, or tour available homes for sale.